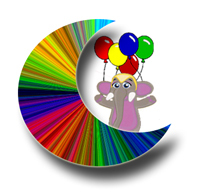 Thank you for visiting the Hindi Kids Company web site. If you have any questions about the Hindi Kids Company or any of our products, please send us an email. Hindi Kids, a children's educational production company, believes in the value of making learning fun for young children. Our mission is to create products that kids and parents enjoy watching and at the same time learn the language / culture. All our shows are kid friendly, original, and unique in their approach to entertaining, educating diversity to young children. Our aim is to introduce kids to the language and culture of India, teach children using different methods (See, Hear, Read), and hold a young mind's attention so that they can learn naturally.